Don’t Be a Zombie !! It’s the week of Halloween, and I know that HR is scary overall. It doesn’t have to be, but many people position it as a field that is daunting, challenging and often overwhelming. When I hear these descriptions of human resources, I can empathize that there may be seasons where these feelings occur. We don’t like to admit it, but there are times when people go through the motions at work. It happens at every level of the organization because we all fall into patterns of repetition at times. You’ll get overly perky HR folks that will swear that this never happens because they “love people.” Don’t believe it. We all hit dry spells. Have you had this happen? You start yet another day at work and it seems like you travel the same path, do the same tasks in order and then look up to see that another day has flown by without you even noticing. 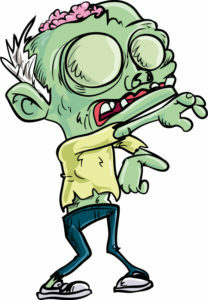 If you don’t break out of this malaise, you become an HR Zombie. You seem lifeless as you stumble down the hall with an audible groan slipping out of your lips with each shuffled step. I know there are times when you’d like to eat the brains of the people who frustrate you at work. However, that isn’t very productive. To avoid falling into this pit of being mundane, you need to take some very conscious steps. You can’t just wish your way out of it because it is like being stuck in some green ooze that just seems to swallow you the more you struggle. 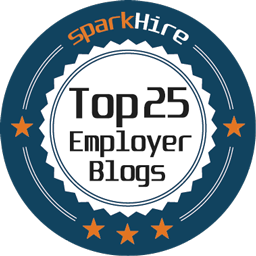 Here are some ways to avoid becoming an HR zombie !! We keep looking at passion as something that should occur on special occasions when you can really get jacked up about what’s happening. That is wonderful, but you can’t sustain things when they are a series of peaks and valleys. HR should drive you because it offers variety, nuance and opportunity every day. People are unpredictable, and that gives you the chance to assist them through the swamps they may be facing. Find other HR folks who are full of life !! Instead of succumbing to other zombies wandering around the office, reach out and connect with other HR pros. We can’t practice alone. We need viable, life-filled connections of our own who will life us out of the muck when it tries to pull us down. There are tons of HR pros who love what they do and who welcome the chance to be intentionally connected. Reach out and do this !! Be a zombie hunter !! The best way to avoid becoming a zombie is to find others who are already lurching around the office and “take them out.” I don’t mean that you should get rid of them. You can, however, break them out of their funk. Get in front of them and see what is dragging them down. Do all that you can to alter that pattern and chip away at what’s nagging at them. You’ll be surprised as to how many people come back to life. This week, take a look and see if you’re stuck in a rut and if you’re groaning a bit too much. If you are, take the steps to breathe life back into your HR role. You’ll be glad you did !! Pingback: Carnival of HR - Scary HR Stories for Halloween 2017 - CUE, Inc.